WingerBLOG: 20181129 + 2019 Discount Cards are Here! 20181129 + Up in the am and dropped J off at school and headed towards work. Passed Bill on 270 like he was in a Flintstones peddle car, he texted me to slow down... Got to work and dove in to the day. Got a text in the middle of the day that the father of one of our dear friends has suddenly passed away... praying for the Varney family. 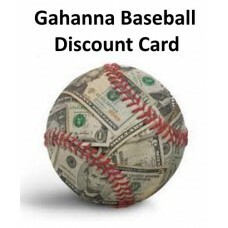 Finished the day and headed towards home with a call from the City asking if I wanted to be on the 'Appeals Board' and a stop at the high school to pick up the 2019 version of the baseball discount cards. Home and got the social media blast out about the cards to generate some buzz. L cooked dinner and J&G joined us after being pried from the Xbox. After dinner the boys worked on Scout stuff until it was time to take G to basketball. Home and gave J his first lesson on ebay shipping. I think he liked the part of seeing home much $ he was making with each shipment and learning that, nickles, dimes and quarters all stack up to dollars... Ran to get G from practice. Home and updated my resume and sent it to the City for their records. Got the boys to bed and worked on splitting the track app into boys and girls until too late.